For as long as companies have been interested in keeping employees safe they have been looking for ways to get the message across. 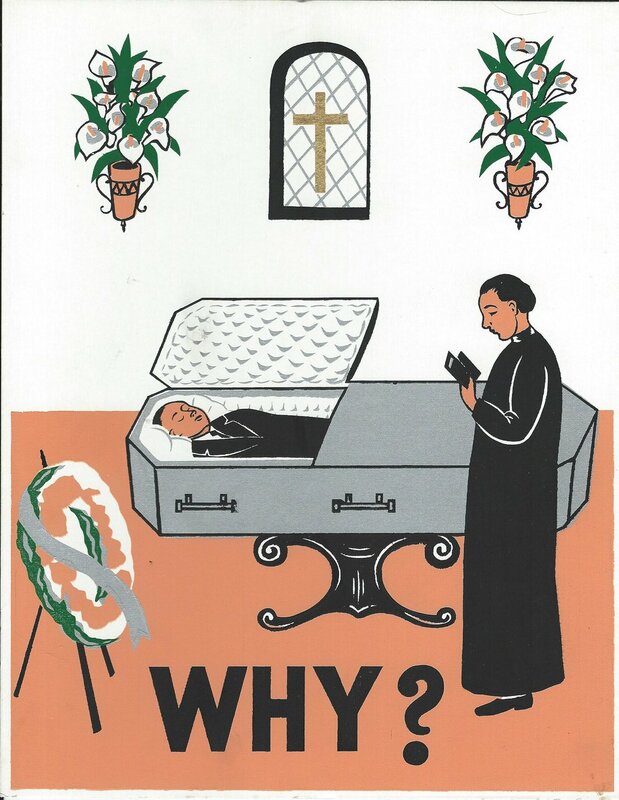 Lectures and meetings are boring and removed from daily work; why not use a poster with a cartoon man holding his severed head? Did that get your attention? It may have gotten the attention of construction workers in the 1950's as well. 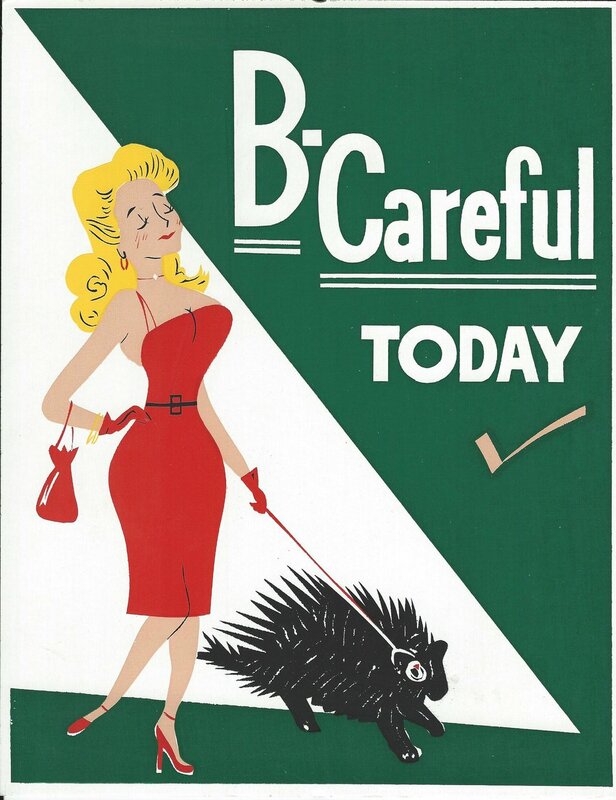 Recently we were given a number of safety posters used by the Utah Construction Company during the 1950's. At this time, the UCC was involved in the mining operations in Iron County. These posters use bright colors and visual puns to encourage safety. They were produced for the male mining culture of the time and several would not be acceptable today. These posters are on temporary exhibit in the main museum building. 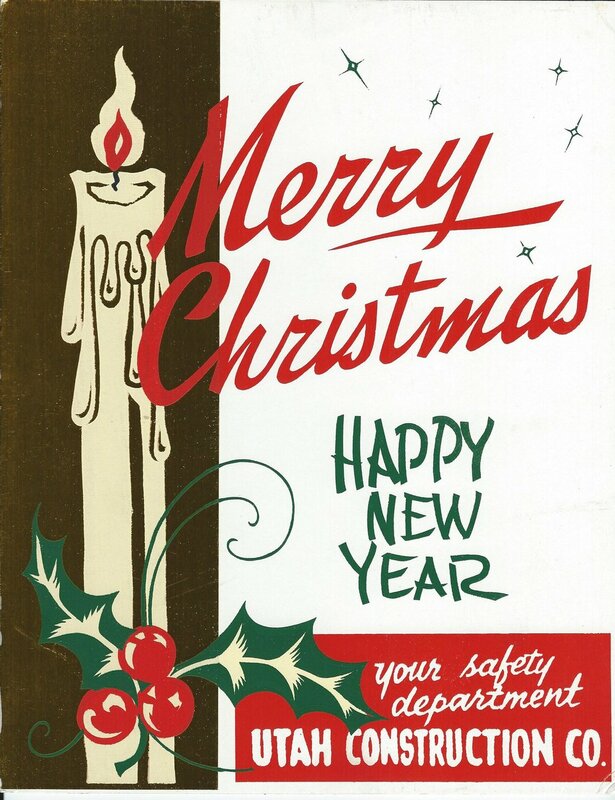 Stop by and see this look back at the safety poster.